Ted, formerly a native of southern California has lived on the Big Island since 1972. Has been a licensed realtor since 1978, and received his brokers license in 1980. 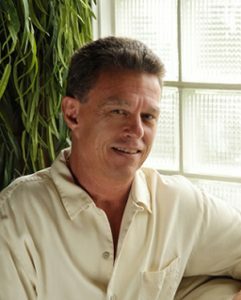 He has worked in real estate offices in Kona and Hilo, having a good network of fellow realtors here on the Big Island. Ted has two sons who were born and raised on the Big Island He enjoys surfing His first love , fishing, and working in the yard as an avid plant lover. Ted has lived in the Districts of North and South Kona, Puako, Waimea, Kukuihaele, Laupahoehoe, Ninole, Hilo, and Puna he is very knowledgeable as to what the island has to offer. Do you want to have a garden he knows where the soil is, do you want to graze cattle, or just sit and listen to the ocean. Ted has the knowledge to point you in the right Direction Island wide. 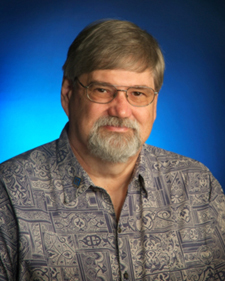 Carl had lived in Ohio and Michigan before settling in Hilo, Hawaii in 1990. After traveling all over the US and many other countries feels this is one of the best places in Carl has been a REALTOR since 1992. He has completed the Graduate Realtor Institute (GRI), has received his broker’s license and is e-PRO certified. Carl is a Certified Residential Brokerage Manager (CRB). Carl is a REALTOR who believes in good customer service and responds quickly to all of his clients needs. There are no high-pressure sales tactics with Carl. He believes in helping his clients make an informed decision about all of their real estate needs. Carl is a dedicated REALTOR and is the Principal Broker and Vice President of Hawaii Home Store, Inc. 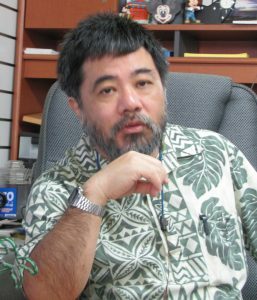 He was the President of the Hawaii Island Board of REALTORS during the year 2002 and has served as a director, was Vice President, and chaired a number of committees. Carl was also on the Board of Directors for the state association, HAR, Hawaii Association of Realtors. According to Hawaii Information Service, Carl was number one in condo sales on the East side of the Big Island of Hawaii in 2005. Lloyd has been a Realtor(S) for about 17 years. A Big Island native, he graduated from the University of Hawaii of Hilo with degrees in Philosophy and Political Science. His interests include: music (he’s been playing trumpet in the Hawaii County Band for over 30 years), computers, graphic arts, philosophy, movies, traveling, meeting people and more. He’s also a volunteer mediator at the Kuikahi Mediation Center in Hilo. Lloyd grew up in Hakalau and Pepeekeo. He currently lives in Hilo with his wife Gayle. Growing up in Hamakua, he knows the history and geography of East Hawaii very well. 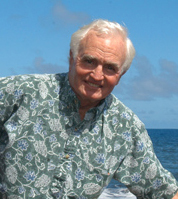 In 2002, Lloyd was awarded Realtor Associate of the Year by the Hawaii Island Board of Realtors. Peter grew up on Oahu and became an avid surfer as a teenager. He attended high school in Honolulu and San Francisco. In 1969 he graduated from the University of Oregon with a Liberal Arts Business degree. During the next 10 years he thoroughly enjoyed the sport of surfing and cultivated honey from the 400 beehives that he kept. He started selling real estate with Tracy Lewis Realtors in 1983, and worked as an agent with Mio Realty from 1985 to 2005. These days, he enjoys swimming on a daily basis, walking his dog Penny, and surfing good waves from time to time at Honolii or Bayfront, local surf spots. Having been around as long as he has, he has gotten to know every nook and cranny of Hilo and the surrounding areas, including Puna, Ka’u and the Hamakua Coast. He specializes in residential sales, as well as commercial leasing/sales and vacant land too. Peter does it all, every day. He enjoys nothing more than meeting people and helping them find exactly what they need. Diane lived in Northern California and has practiced real estate for over 25 years in California as a broker. Diane currently holds a license in both Hawaii and California. Diane has one son who is married and still lives on the mainland. She enjoys gardening, traveling and exploring the wonders the islands have to offer. 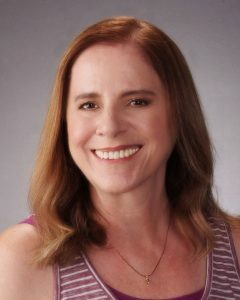 With all of her years of experience, Diane can help you find your perfect home or sell your current home in Hawaii.